HyungJin Gill is a doctoral student interested in political communication and digital media. Previously, he worked for an advertising agency and was a reporter at a local NPR station. 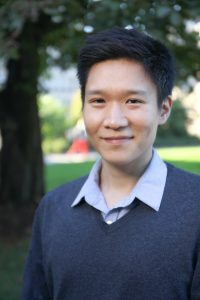 His research focuses on examining how social media interactions affect voting behavior and party identification, and aims at analyzing motivational factors that shape ideological orientation. He earned his B.A. in journalism and mass communication from UW-Madison’s J-School, and his M.A. in journalism from the University of Missouri-Columbia where he worked as a research assistant at a media psychophysiology lab.